Visualizations are extremely misleading and only offered here for people too lazy to study the data sets. 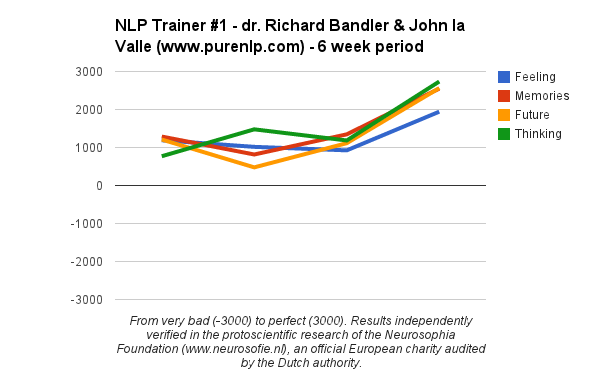 Please have a look at the data sets rather than look at pretty pictures. 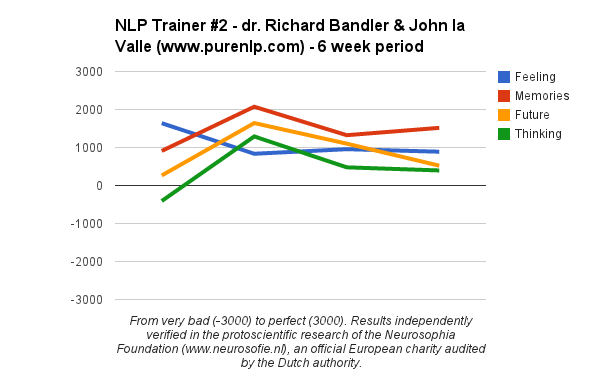 For data visualization here are two graphical respresentations of two people who participated for six weeks in a number of NLP training with the last training being the NLP Trainers Training by dr. Richard Bandler and John la Valle.